Atlas and the Anchor: Free Friday: Deerhoof -"99% Upset Feeling"
Deerhoof are set to tour this fall and in anticipation, they have released the live album 99% Upset Feeling as a free download on their website. 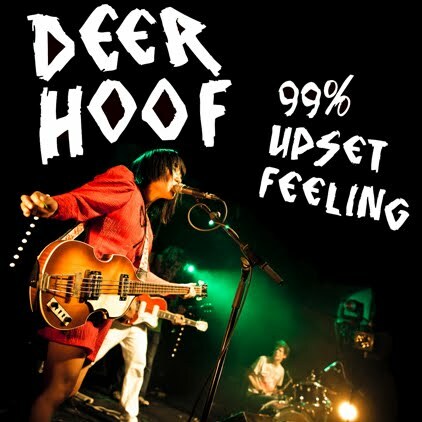 The 11-track album features awesome improv-heavy live takes of "The Merry Barracks" and "Behold A Marvel In The Darkness" from their most recent album Deerhoof vs. Evil and "Offend Maggie", "Fresh Born" and The Tears And Music Of Love" from the album Offend Maggie. Other highlights include longtime favorites "Flower" and "The Perfect Me". Download the album and then go check them out on tour!